Penrith is about to receive a giant gingerbread village complete with local locations that include Panthers Stadium, High Street, Penrith’s giant Christmas tree and of course a nativity scene. For train enthusiasts the village will also include a station and fully functioning train set. This is the first time a feat of this size has been attempted in Penrith, but local bakery Poles Patisserie is up for the challenge. The project will involve 50kg of gingerbread, 25kg of royal icing and 15kg of lollies, plus hundreds of hours of labour. 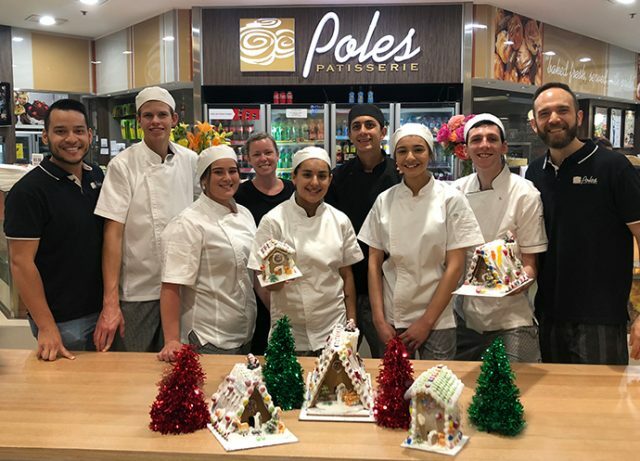 “We wanted to bring some fun to Christmas this year,” said Poles Patisserie owners Ricky Ardila and Jason Poles. The Poles team will start the construction of the village at 5pm on Friday, November 30 as part of the Penrith Christmas Tree Lighting festivities, which are run by the Penrith CBD Corporation. Families can come down and watch as the gingerbread village comes to life, as well as enjoy the food stalls, live music, market stalls, face painting, the lighting of the tree and of course the much-anticipated visit from Santa. “Every year the Christmas Tree Lighting becomes a bigger and better community event,” said Penrith CBD Corporation CEO Gai Hawthorn. The tree lighting is being held at Memory Park on the corner of High Street and Woodriff Street on November 30 and will run from 5pm to 10pm with Santa arriving at 8pm, which is sure to delight the families in attendance. After the Christmas Tree Lighting, the gingerbread village will be displayed in Westfield Penrith.